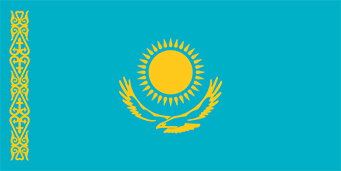 Starting July 15th, 2014 USA citizens can travel without a visa to Kazakhstan for stays of up to 15 days or less regardless of the purpose of the trip. A valid, signed US passport. The passport must have at least 6 months remaining after the completion of your stay in Kazakhstan, and contain at least one blank visa page. A valid, signed passport. The passport must have at least 6 months remaining after the completion of your stay in Kazakhstan, and contain at least one blank visa page. Tourist Visas are issued up to one month and as single entry only. HIV test certificate for those applying for a visa with a stay over 3 months. Tourist Visa issued only up to one month and as a single entry only. Your application will be checked and hand carried to the Embassy; normal processing time is approximately five business days. Rush processing fees are detailed below.